In what we hope is becoming a regular occurrence, food trucks are returning to prison! Whereas last month’s gathering took place at California Institution for Men in Chino, Wednesday’s (November 6) event will take place at the California Institution for Women, 16756 Chino Corona Road, Chino. The event is open to the public and will take place from 10:30 a.m. to 1:30 p.m. Parking and admission are free. That’s right, head to the west parking lot of the California Institution for Men, 14901 S. Central Ave., Chino, between 11 a.m. and 2 p.m. today (October 15) for a food truck lunch. The kegs have been tapped. The Kilt Girls have been hired. The grill is ready to go. The Chino Tilted Kilt will open at 11 a.m. on Monday (October 14). In a sign that the economy still has some recovery to do, we’ve spotted four local restaurants that have closed in recent weeks. Chino’s La Crêperie Café, an offshoot of the original in Long Beach’s Belmont Shores, has closed. The location, a former Black Angus, might’ve been just too large for La Crêperie. The original is a much more intimate location. Also, the owners have switched the small chain’s downtown Long Beach location from crepes to Mediterranean and dubbed it La Shish. 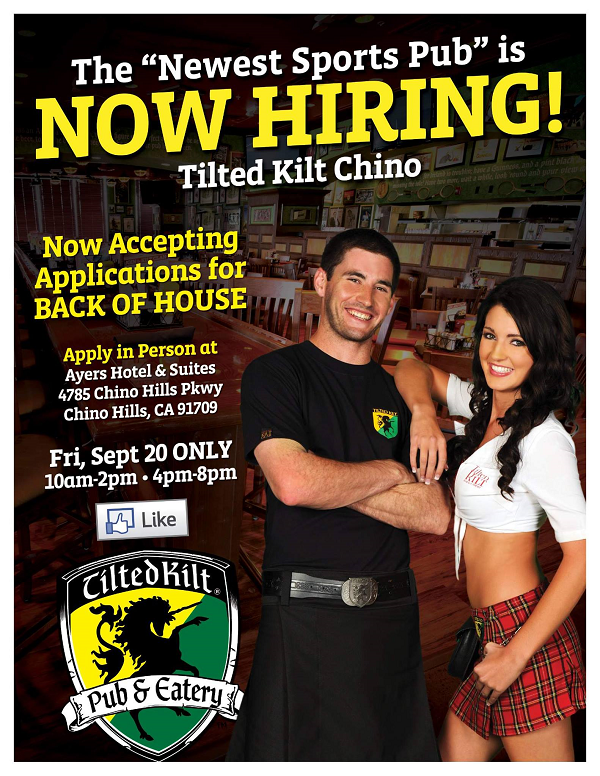 Scottish-themed sports pub Tilted Kilt is coming to Chino. It’ll be the third Inland Empire location for the chain, joining locations in Palm Desert and Temecula. 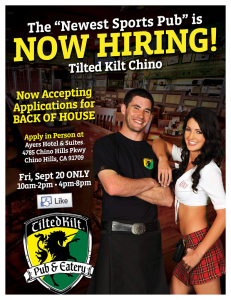 The location is holding its last casting call for Kilt Girls and back of house employees today from 10 a.m. to 2 p.m. and 4 to 8 p.m. today (September 20) at the Ayers Hotel and Suites, 4785 Chino Hills Parkway, Chino Hills. The Rancho Cucamonga Pieology Pizzeria caused quite a stir when it opened at the beginning of September. Of course, I think some of that had to do with the fact that they gave away pizzas during training periods in the days leading up to the grand opening. But that doesn’t diminish the fact that they serve delicious pizza, with as many toppings as you like, for $7.50 or less. This week, it’s Chino’s turn to experience the Pieology, um, experience. 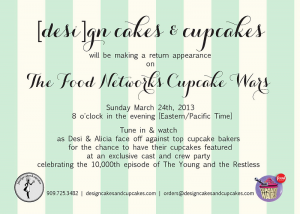 Our friends at the Cupcake Wars-winning (and double I.E. 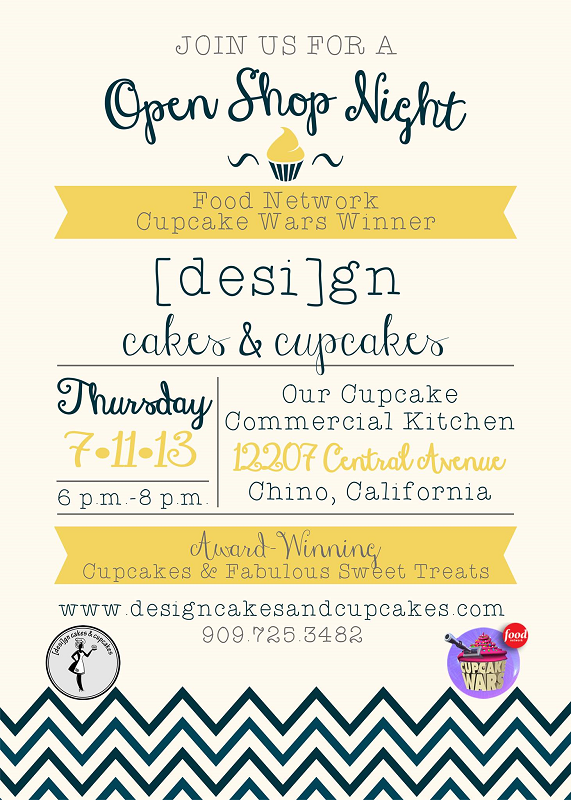 Cupcake Fair award-winning) bakery [desi]gn cakes & cupcakes will be hosting another of their delicious open shop events Thursday night (July 11). 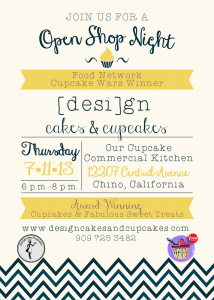 The event will take place from 6 to 8 p.m. at their commercial bakery, 12207 Central Ave., Chino. The bakery will be selling salted caramel, carrot cake and S’mores cupcakes, along with lemon macaroons and chocolate pecan cookies. 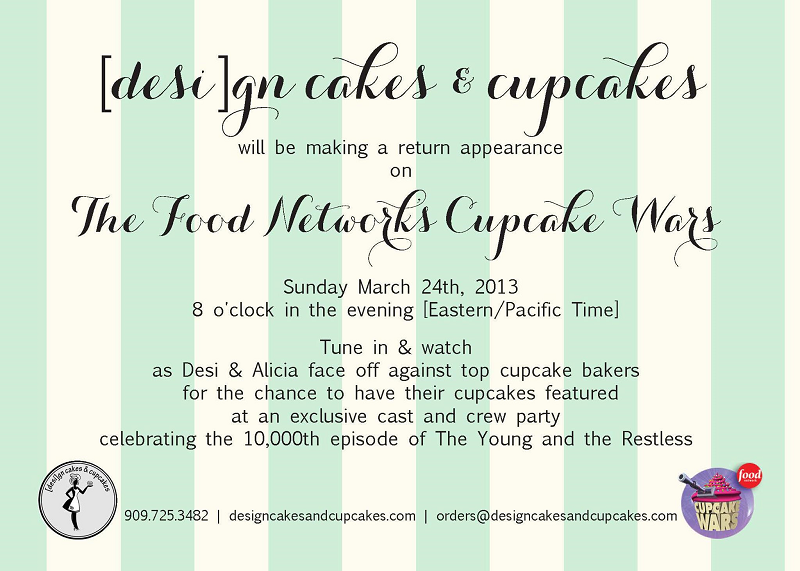 For more information, visit the bakery’s Facebook page.